Data streams from cyber-physical systems are logging a variety of processes, ranging from traffic, logistics and production to human self-measurements and health data, to name just a few. An infrastructure has been established according to the lambda architecture . Turning the data into smart data requires sophisticated preparation like feature extraction and selection, outlier detection and missing values imputation. Tools supporting these methods are available and some are even ready to use also outside the IT department . Where the analysis of web usage data is already automatically exploited for online advertisement , the data from industrial production are most often analyzed in a diagnostic manner. Engineers then enhance the process based on the gained insight. Moving towards predictive analytics offers additional advantages. For instance, quality control based on real-time prediction saves energy consumption and maintenance costs and leads to better and more stable product quality in manufacturing processes . Moving even further, prescriptive analytics turns the process into a data-driven adaptive and self-optimizing system, a smart process. In the talk, a real world application of prescriptive analytics in steel production will be presented that automatically samples data, builds models, selects a model in real-time, and applies it directly to the process. Daniel Lieber, Benedikt Konrad, Jochen Deuse, Marco Stolpe, Katharina Morik (2012): Sustainable Interlinked Manufacturing Processes through Real-Time Quality Prediction. In: Dornfeld, Linke (eds) Leveraging Technology for a Sustainable World. pp. 393-398. 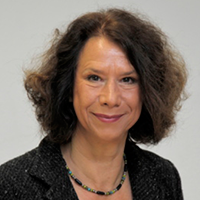 Katharina Morik is full professor for computer science at the TU Dortmund University, Germany, since 1991. She earned her Ph.D. (1981) at the University of Hamburg and her habilitation (1988) at the TU Berlin. She is a member of the National Academy of Science and Engineering and the North-Rhine-Westphalia Academy of Science and Art. She was among those starting the IEEE International Conference on Data Mining, and was chairing the program of this conference in 2004. She was the program chair of the European Conference on Machine Learning (ECML) in 1989 and one of the program chairs of ECML PKDD 2008. She is in the editorial boards of the international journals “Knowledge and Information Systems” and “Data Mining and Knowledge Discovery”. Since 2011, she is leading the collaborative research center SFB876 on data analysis under resource-constraints, an interdisciplinary center comprising 14 projects, 20 professors, and about 50 PhD students or Postdocs.